There is only one month left in 2017 – this is NOT a drill! I repeat – this is not a drill! How did November pass so quickly?!? Better yet, how did this whole year pass so quickly? Is anyone else starting to feel anxious about getting presents bought and wrapped in time? Eek! A Feast for Crows by George R.R. Martin – The fourth book in the A Song of Ice and Fire series; I figured once I started, I might as well read the whole series through again. I remember not particularly liking this book the first time around…but I actually quite enjoyed it the second time around. A Christmas Carol by Charles Dickens – Inspired by my movie outings this month, I decided to start my Christmas season off with a Christmas classic. I don’t know that I’ve actually ever read A Christmas Carol before…and it’s a really quick little read! I enjoyed it so much and I think I’ll make it a tradition! A Dance of Dragons by George R.R. Martin – The fifth book in the A Song of Ice and Fire series; this one barely makes the cut because I literally started reading it on the 29th! It will definitely take a chunk of December to get it finished and this will be my second read through of this book! Outlander – Gosh, how much am I enjoying the third season of Outlander? 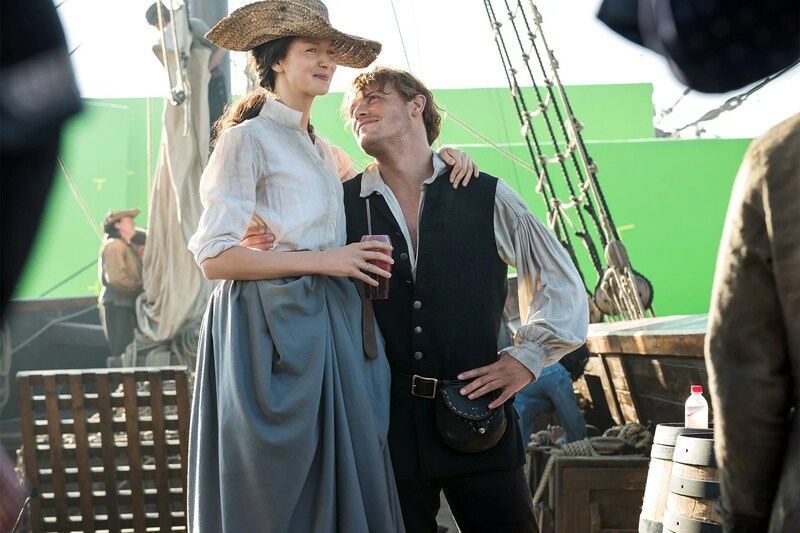 The third season is based on the third book in the series, Voyager – which is my personal favorite and I’m enjoying seeing so much of it come to life on screen! The story spans across not just time and oceans but also continents…moving from Boston to Scotland to England to the American Continents when it’s all said and done. Sam Heughan and Caitrona Balfe continue to be perfect in their roles as Jamie and Claire and I can’t wait to see the final two episodes! 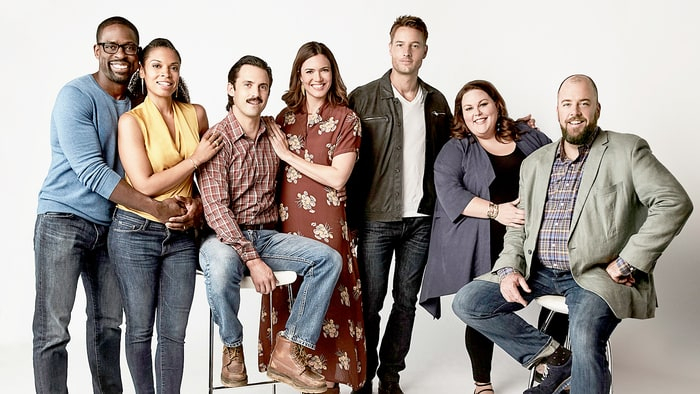 This Is Us – No show makes me feel all the feelings quite like This Is Us and season two has been such an excellent follow up to the stellar first season. The story lines feel so real and the lives of Pearsons seem so true…which is probably why their heartaches make me feel so much emotion, ha-ha! Especially when ol’ Randall does that single tear… Sterling K. Brown kills me every time! Can’t wait for this one to return in January! Oh yeah – and lest I forget – Fixer Upper is finally back on! Yahoo! This month I finally made up for the lack of movies that I haven’t been seeing over the past few months…and I went to see ALL the movies, ha-ha! Thor: Ragnarok – I absolutely loved this movie! So much so that I’ve contemplated seeing it a second time…it’s hilarious! 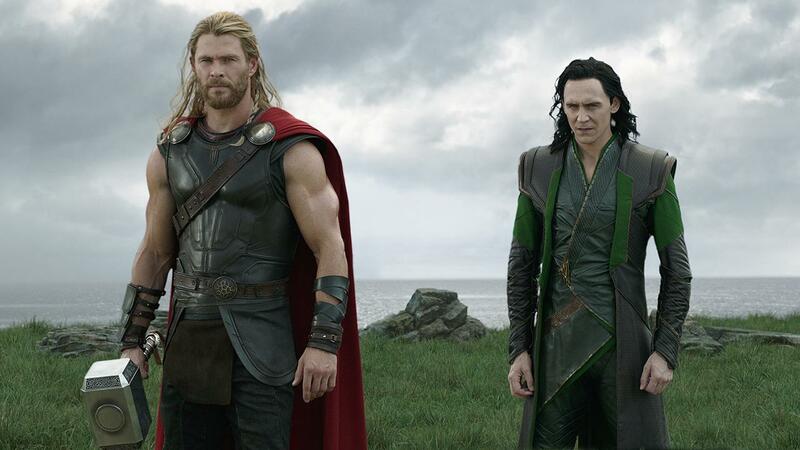 I have always had a fondness for Thor…although I guess technically I have a fondness for Loki and he always appears in the Thor movies – but this was hands down the best of the three Marvel films that feature Thor. I cannot say enough about how hilarious and fun this movie is – if you haven’t seen it, GO! The Man Who Invented Christmas – An unexpected delight; if you’re looking for a film to get you in the Christmas spirit, this one is it! Granted; I would watch Dan Stevens paint the walls…but that’s not just because he’s nice to look at – the man can act. 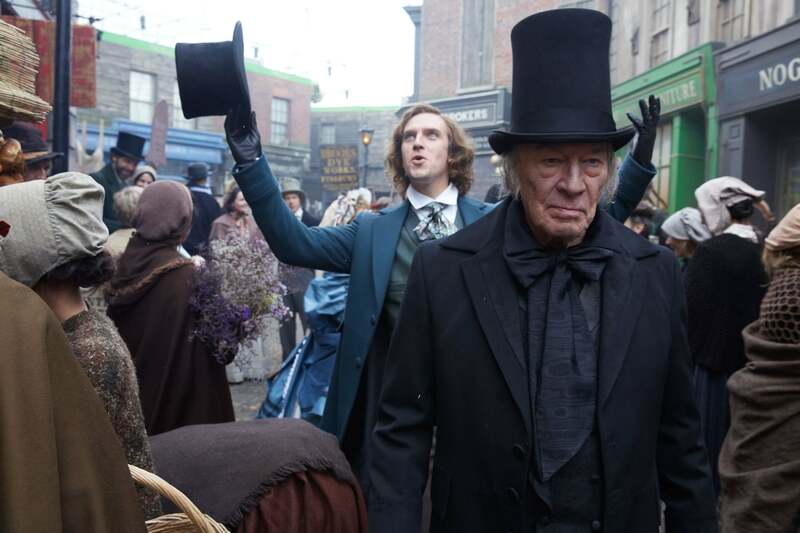 This movie follows the six weeks surrounding the writing of Charles Dickens’ A Christmas Carol and the fevered pace and mindset that brought about Christmas legends Scrooge and Tiny Tim! I’d strongly recommend catching this one while you can – it’s wonderful! 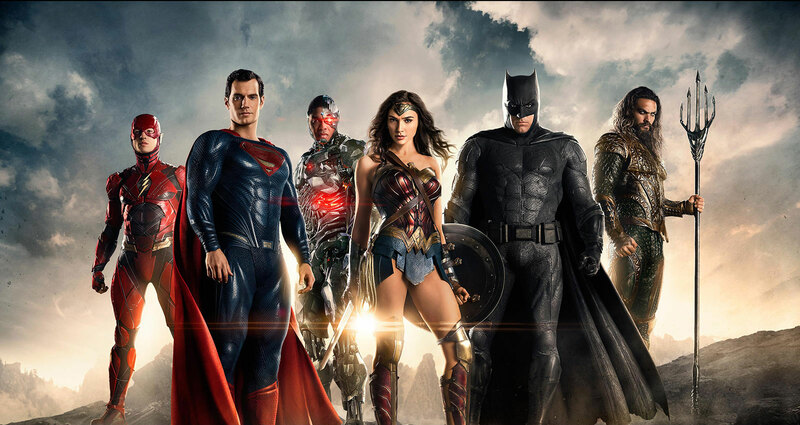 Justice League – I went into this movie with extremely low expectations and I was pleasantly surprised with this movie. I’m a big fan of Superman and I thought Wonder Woman was excellent…and while there are some plot holes and “huh” moments, all in all I really enjoyed Justice League! The film benefits from lightening up and adding comedic moments that other DC films are sorely lacking – and I hope DC continues in this direction. Although…the one thing that I couldn’t get over – the digital removal of Henry Cavill’s mustache. Ya’ll. No. So many goodies this month – then again; the month of November is pretty famous for delicious food, right? I started the month in Mississippi with yummy food at Mugshots and delicious wedding cake from my cousin’s wedding… the rest of the month held delicious goodness in the form of afternoon tea, fruity drinks, bagels and coffee, macarons and of course – Thanksgiving dinner! In between the jolly tunes, I’ve been listening to a couple podcasts – The Big Boo Cast, A Storm of Spoilers, the Outlander podcast and the Popcast…just to name a few. The Crown: Season Two – I didn’t immediately jump on The Crown with the first season, but once I finally watched episode one, I was hooked and blazed through the first season in a weekend! I can’t wait for season two to premiere on December 8th! 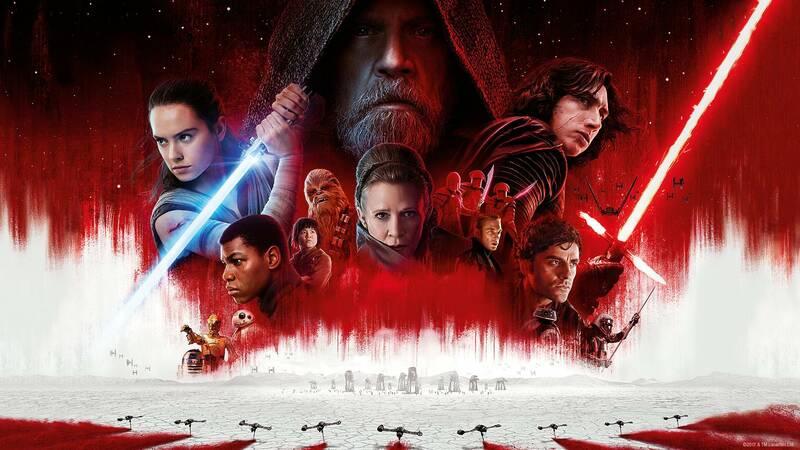 Star Wars: The Last Jedi – I’ve had my ticket for Episode 8 for over a month and I can’t wait for Friday the 15th to plop down in the theater and be transported to a galaxy far, far away… Will Rey turn to the Dark Side? Who are Rey’s parent’s? Is Finn okay? What has Luke been doing on the secluded island? What the heck is a Porg? The Return of the Sister – Not a movie but an actual event! My little sister will be returning to Northern Virginia for a week and then some of Christmas goodness and even though I just saw her, I can’t wait to see her again – I kind of like the kid! Christmas Eve & Christmas – I love everything about the Christmas season but I especially love all the traditions my family has on Christmas Eve and Christmas Day… Baking together, attending a candlelight service at church, watching White Christmas together, sharing gifts with one another on Christmas Day and just spending time together. So wonderful! Downton Abbey: The Exhibition – We have tickets to the Downton Abbey Exhibition in NYC and I cannot wait! It’s so exciting to get to see the gorgeous costumes and lavish sets that played such a huge part in the show for it’s six seasons! I’m sure it will be…smashing! 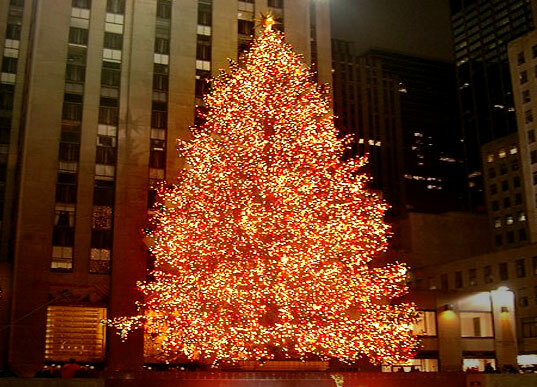 Wow – it’s November 30th and December already looks to be packed full of amazing things! I can’t believe there are just thirty-one days left in the entirety of 2017. Surely I’m not the only one who feels like this year sped by? Oh well – on to December! My pup has always liked to remind everyone around him that he’s a gift – so much so that almost every Christmas he can be found curled up under the Christmas tree. That is; until the presents begin to take over. He’s yet to crawl under the tree this year…but it’s not even December 1st yet – so there’s still time! And I had every intention of blogging on Monday as well – but here we are on Tuesday and I’m finally getting around to this post! I took a pretty large break from posting; almost a full week, so I thought I’d just share some pictures from the past week of spending time with family, eating delicious food and getting things all ready for Christmas! Monday and Tuesday were a bit of a whirlwind at work – it was so nice to come in each day and have time to spend with my entire family and Watson and I even enjoyed sitting beside the Christmas tree(s) that were spring up all over the house! Wednesday morning the intern that works at our office brought bagels and cream cheese for everyone – I think that was the most carb-loaded breakfast I’ve had in ages – and I only ate half! Our office was only open until 12:00 on Wednesday; it was lovely but it made for a hectic morning, I feel like I did more in the 3.5 hours on Wednesday morning than I do in a full day! Ha-ha! I met up with my Mom and younger sister for lunch after work; we got some BBQ at Mission BBQ – I ended up getting turkey; which was pretty laughable because it was the day before Thanksgiving, but if you’ve ever had the turkey at Mission BBQ then you completely understand my decision! As you can see above, Lindsey was pretty excited about the delicious barbecue and sides, ha-ha! We perused Home Goods and of course; they had a million and one things that I could have purchased in a heartbeat, however tis the season to buy things for people that are not ME – so I refrained. We went home long enough to spend a little time with my pup and pick up my Dad before heading back out to catch a late afternoon showing of The Man Who Invented Christmas – excellent movie! We closed out the night with supper and the realization that the lemon juice my Mom needed to make her lemon pie was no good. This resulted in a late night Wal-Mart run to grab lemon juice on the eve of Thanksgiving! We were successful (technically Lindsey, I was just the driver) and returned home with the goods. The baking resumed, the night wore on and suddenly – it was Thursday and Thanksgiving was upon us once again! I slept in (not too late) and sipped my coffee the way I love to; I even got in some exercise to try and combat the extra large meal that I knew would be coming up later in the afternoon. After stuffing ourselves full of turkey, stuffing, sweet potatoes, mashed potatoes, corn, English peas, rolls, gravy and cranberry sauce…some of us fought off the tryptophan coma and some of us did not, ha-ha! We took a walk around the neighborhood and my Dad flew his drone – which my dog absolutely hates. Around 5:30 I committed to going along on a venture that I will not be a part of in years to come: I went to Wal-Mart at 5:55 on Thanksgiving. What was I thinking? You couldn’t even approach the registers – you had to be placed in a line that wove it’s way through the flannel pajamas and women’s underwear before finally emerging inside the yellow caution tape wrapped around the entire check out area of the store. As we waited in line, a woman who was clearly in a rush to get something of utmost importance jammed her shopping cart into my back…and when I turned to look at her, she just shoved past me and kept going. Only in America do we try to knock people out of the way to get to sale items…literally hours after we were meant to be thankful for all we have. But – we must knock people out of the way to get MORE. Oh yea – we went to Wal-Mart at 6:00 on Thanksgiving for groceries. What in the world were we thinking? I don’t have any pictures from Friday – because we spent Friday doing a whole lot of nothing! It was so nice to have nowhere to go and no agenda! We did head out and about a bit around 10:00 to pick up some petit fours for a party my Mom was hosting on Saturday…and while out we stopped in at a couple stores we love (Creekside Gifts and Loft) to check out some deals! We had lunch at McAlister’s and went home to finish up some decorating and have delicious burgers on the grill for supper. We all did some house organizing and straightening ahead of the Saturday morning party and after dinner we watched Avatar; my parents have never seen it and with a visit to Disney coming up in less than six weeks, we figured it was a must watch. Saturday morning was filled with party business – my Mom hosted a Perfectly Posh party at our house and had a wonderful time! There was good food, good friends and of course, some wonderful Posh! It was so nice to spend time with friends and so nice of these sweet friends to come and not only support my Mom but to support my little small business venture! Sadly – the end result of all the shopping and eating was to be near Dulles; all happy holiday vacations come to an end and my little sister flew back to Vegas on Sunday night. We grabbed a coffee together at Wegman’s before dropping her off at the airport and waving her through security. As you can see from the above picture, Watson was pretty sad when we returned home without her. She’ll be back in three weeks pup – fear not! Sunday was fairly routine – sipping my morning coffee while watching the newest episode of Outlander, heading to church with the family and grabbing lunch after. I relaxed a little bit at home after all the out and about and ate some delicious macaron’s that my Mom so nicely purchased for me at Tyson’s on Saturday night. Later in the afternoon I headed over to the Alamo to meet up with my friend Jennie and her son Jimmy to catch Justice League – I went in to the movie with a lot of trepidation and low expectations; I was crazy surprised how much I enjoyed the movie! Then again, I do love Superman…and Wonder Woman was excellent, so I wasn’t a hard sell. Sunday evening was all about leftovers and being lazy…the perfect end to the four day weekend. The time off always seems like it doesn’t last nearly long enough, but Christmas vacation is only weeks away and then…Disney World! I leave you with a picture of Watson doing his very best to weasel some leftovers from everyone at the table on Sunday night. Little stinker – rest assured, he definitely got some! My little sister – lifelong best friend and partner in crime has been keeping me entertained and amused for twenty-seven years today! She burst onto the scene twenty-seven years ago and because she was so fierce, she and my Mom were released from the hospital in time for turkey day. Lindsey has continued that level of fierce for the past twenty-seven years…especially if it means getting some good food, ha-ha! I’m kidding. I will be the first to admit that she had to grow on me – I distinctly remember being less than impressed by the screeching, red-faced little creature that my parents presented to me at the hospital and my Mom later found a posted defaced in my six year old scrawl with “Lindsey is an ugly baby…” Oops y’all – my bad. It’s an adjustment going from a solo act to a duo; it takes time and practice! We’ve been through a lot – boyfriends and bad friends, proms and parties and more family vacations than I could count on both hands. There have been more than a few people I wanted to beat up on her behalf…but then again, she’s always held her own pretty well, so there wasn’t ever much need. One day I realized that the little kid who used to pester and perturb me had somehow grown up…and what’s more, she’d become my best friend. I can’t think of another person I trust and love more at this point in my life than my sister – she is truly my best friend and having her as a sister makes my life more rich and wonderful than my six year old self would have ever imagined as I stared at that screeching baby twenty-seven years ago. So – I love you Lindsey and I hope you have a wonderful day – and you enjoy the birthday nap that you mentioned you were going to take! Ha-ha! Well – turkey day is just 72 hours away. Actually…at this point it might be less than 72 hours away, depending on what time you plan on eating your turkey! I don’t know..
What I do know is that it’s getting closer to 5:00 o’clock on Monday and this week is a short week, so I’m that much closer to a four day weekend – always a wonderful thing indeed! Friday evening was spent laying low – dinner at a local Mexican restaurant with a salsa bar, cruising Aldi for some things to pad the groceries until the big Thanksgiving shopping session and doing a little laundry. After our Mexican feast, I decided that a little time spent on the elliptical would be good and so I even got in some exercise on Friday night! We all ate breakfast together and then went shopping – mostly because at this point we weren’t sure when Lindsey would get her bag and she needed actual clothes to wear. I picked up some new things at Loft and Old Navy; already having great sales ahead of Black Friday, I made sure to grab some things in the cream/burgundy family for a family photo shoot on Sunday afternoon. After scooping up some deals, Lindsey changed in the bathroom of Belk (ha-ha) and we headed off to have afternoon tea at one of our favorite places: Coach and Horses Tea Room! The Afternoon Tea started with a delicious mushroom, leek and potato soup – I am NOT a mushroom fan – but this soup was absolutely to die for! So delicious, thick but not too rich and perfectly creamy! Next came peppermint scones with clotted cream and jam; the clotted cream brought out the taste of the peppermint in the scone just perfectly! The sweets and savories were too plentiful to list – meat pasties, a fruit tart, a butterscotch dessert – all so lovely and good! And one of my personal favorites – a perfect cucumber sandwich! I was positively stuffed once it was all said and done; but then again, I’m always stuffed when we have afternoon tea and I always walk out with a to-go container. Sunday morning I started the day with some coffee and the newest episode of Outlander before heading out to church and then some delicious brunch at Regions 117! We started with the Ginger Beignets and then I went with an old favorite in the French Toast smothered with fresh blueberries and cream, along with some peewee potatoes, which are just about one of the most heavenly things I’ve ever eaten! We did a quick stop in at the house to do an outfit change and spruce up before going over to the Arboretum to have pictures made. As a Christmas gift for our parents, my younger sister and I decided to get a family friend to do a family picture session for my parents and so we had those done on Sunday afternoon! Of course, while the weather was pretty gorgeous it was also pretty cold and the wind was whipping around at about 20 mph for the entire shoot. No lie – at one point it began to sleet and flurry snow. It only lasted about five minutes but it was the first Winter weather of the season…and here we were without jackets, trying to smile and pretend we weren’t freezing. We ended the weekend going to catch a showing of Murder on the Orient Express at the Alamo and well…I was honestly underwhelmed. I loved the book and with such a varied and talented cast, I really had high expectations for this movie – but it fell a little flat to me. Oh well! We made in home just in time for the season three finale of Poldark before crawling into bed. Oh yeah – a sneak peek at our family pictures below – I can’t wait to see the rest! This week has been a real…delight. Honestly though – I’ve been trying to write this post for hours now and it’s almost 5:00 and so I’m trying to squeak this one out before I head out to start my weekend! One. Little Sister Time – My little sister AKA my best friend in the world is arriving home for almost ten whole days in the very early AM and I cannot wait! We have all kinds of good things planned for the week of Thanksgiving…but honestly; if we had nothing planned but sitting around together watching movies, we’d still have the best time! Two. Afternoon Tea – We will be having afternoon tea at one of our very favorite places on Saturday: The Coach and Horses Tea Room! I cannot recommend this little tea room enough – it is truly such a wonderful experience every single time! They have pages and pages of teas to choose from and you can try more than one (or two…or three…) teas and all of the food is homemade and absolutely divine! I’m drooling just thinking about it y’all! The picture below is from the last time I went – way back in January – and it was spectacular! Three. Family Pictures – It has been ages and ages since our family had professional pictures made and my Mom bemoans this fact from time to time…so my younger sister and I came up with an idea. We’d give our parents family pictures as a Christmas gift! A good family friend named Brooke takes the most gorgeous pictures and we are meeting up with her on Sunday afternoon at the Virginia State Arboretum to take pictures! Hopefully we won’t all turn blue in the process – the high is 45 and it’s supposed to be windy! Eek! Four. 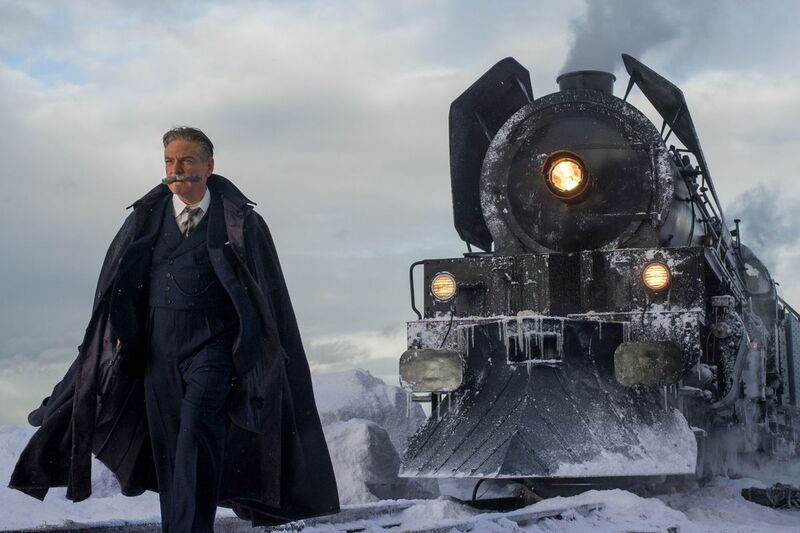 Murder on the Orient Express – I “read” this Agatha Christie novel for the first time earlier this year; I listened to it via Audible, read by Dan Stevens and thoroughly enjoyed it. Especially the twist at the end! Now the movie adaptation (not the first) has arrived on the big screen and we are planning to go see it on Sunday evening and I’m so looking forward to it! I hope that it will manage to capture some of the intrigue and suspense of the book…although I must admit, I normally find that the book is always better, ha-ha! Five. Thanksgiving Break – It’s less than a week away and I cannot wait! The past few weeks have seemed more hectic and tumultuous than usual and a few days off to spend time with family, eat good food and just relax sound absolutely divine! How is everyone spending their holiday this year? I’m happy to be staying in good ol’ Virginia to celebrate! Alright y’all – I’m off to start enjoying my weekend! I’ll be back on Monday!